Lido Key is a spectacular area that offers some of the best beaches, shopping, dining, and entertainment in all of Sarasota. 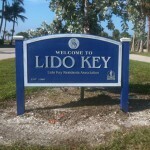 Lido Key is a barrier island, located just west of downtown Sarasota, across the Ringling Bridge. Immaculate, pristine, secluded beaches, though there is also a public beach, complete with free parking, concession stands, picnic tables, a playground, and much more. 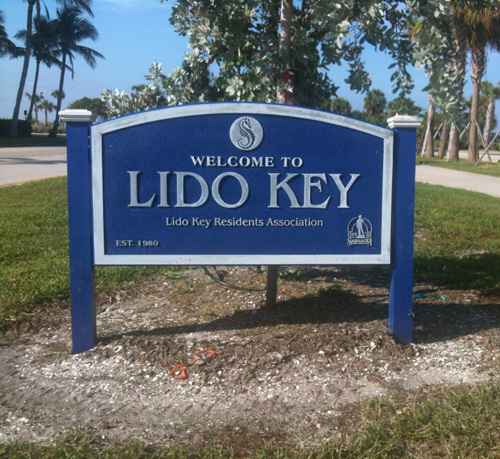 Lido Key also features the famous St. Armands Circle. St. Armands circle is “divided” into four segments and offers nearly 150 stores, including souvenir shops, boutiques, jewelry stores, art galleries, ice cream parlors, bars, and spectacular restaurants. St. Armands has something that anyone can enjoy. St. Armands is a desirable and popular gathering place by locals and tourists. A beautiful courtyard lies in the center of “The Circle,” as it is referred to by locals. Huge palms, green grass, elegant statues, and park benches line the courtyard, making it a pleasant and relaxing place to visit. St. Armands also plays host to many exciting events throughout the year. From wine tastings, to Fright Night in October, to the annual Holiday of Lights in December, there is more than just shopping at St. Armands. You will also discover that the stores and shops are what make the circle so unique. From jewelry stores to boutiques, French cafes to a store selling hundreds of different hot sauces, you are sure to find something in St. Armands Circle that peeks your interest. Perhaps the best aspect about St. Armands is the dining. With such a diverse selection of food and eating arrangements, the restaurants in St. Armands will satisfy your hunger, but keep you wanting to come back for more. Ranging from seafood specialties, classic bar food, an Irish pub, Hibachi, upscale dining, and much more, there is a restaurant in St. Armands to satisfy anyone’s taste. 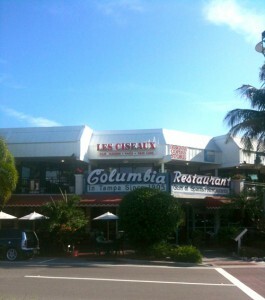 Many of the restaurants feature outdoor seating, right on the sidewalk so that you can enjoy the wonderful Florida climate year round. However, if you do find yourself in St. Armands on one of those hot, Florida afternoons, there is always air conditioned dining inside. Whether you are indulging in the famous “Original 1905 Salad” at Columbia, a juicy burger and a beer at Cha Cha Coconuts, or some of the World Famous Coconut Shrimp at Tommy Bahama, your taste buds will leave St. Armands satisfied. 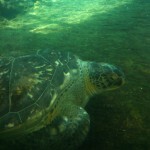 Stop by the Mote Marine Aquarium to get up close and personal with some of your favorite Sarasota aquatic life. 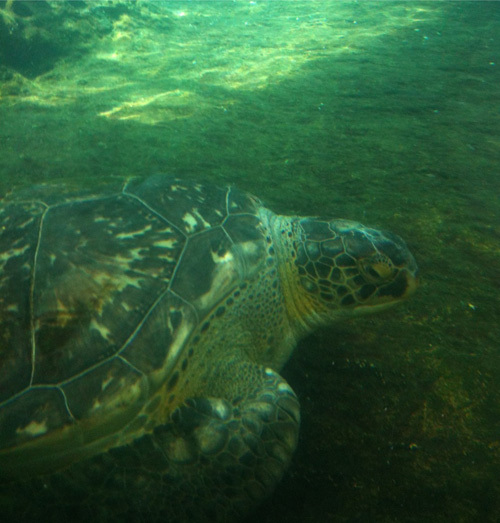 A short drive north on the Ringling Parkway and you reach Mote Marine Aquarium. Mote provides great conservation and preservation efforts for local marine wildlife. Housing two gigantic manatees named Hugh and Buffet, dolphins, sharks, sea turtles, local fish, a preserved giant squid, a touch tank full of rays, and many other types of marine aquatic life, Mote is a must-see in Sarasota, Florida. You can spend your day at Mote learning about all of the animals that are found in our coastal waters and even enter the theater that will take you on an exciting journey, teaching you about how dolphins are tracked and how they are rescued in the wild. Mote also provides Eco-tours around Sarasota Bay where you will get a firsthand experience of the challenges facing the Sarasota marine wildlife. Mote is a truly remarkable place in Sarasota, Florida. Lido Key is a spectacular place in Sarasota, Florida. With beautiful beaches, wonderful shopping, and some of the best dining in Sarasota, Lido Key is the perfect place to call home. If you’re looking for a luxurious waterfront property or a home in one of the nicest and most desirable areas in Sarasota, Your Suncoasteam can help you find the perfect place in Lido Key. For more information about real estate in Lido Key/ St. Armands, please contact Suncoasteam Realty 941-235-7474 or sales@suncoasteam.com.